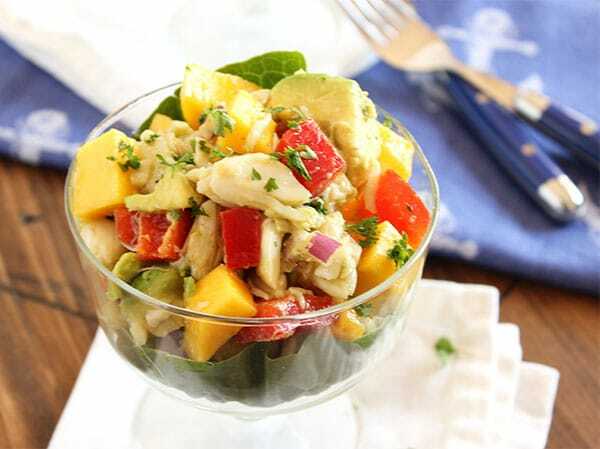 Healthy and refreshing salad with crabmeat, capsicum and juicy mangoes. Perfect as a standalone salad or as part of a meal. 1. Mix the lime juice, honey, soy sauce, ginger and chilli garlic sauce in a bowl. 2. Gradually add the sesame oil and mix well until well blended. 3. Combine the crabmeat, mangoes, cucumbers and capsicums in a mixing bowl. 4. Add the salad greens and pour the dressing on top. 6. Toss well to combine. 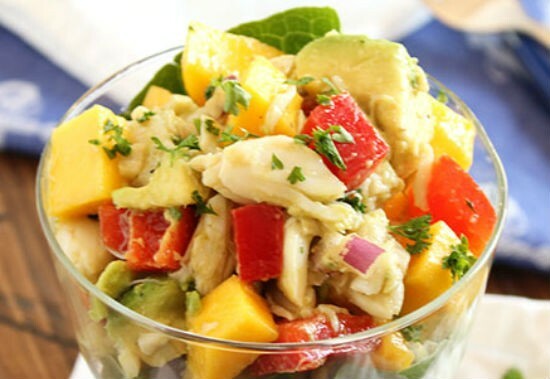 Feel free to comment or share your thoughts on this Crab Mango Salad Recipe from Awesome Cuisine.